BOBCAT #T-450 TRACK SKID STEER LOADER ; 61 HP TIER 4 DIESEL ENG. LIFT CAPACITY 1400 LBS. ; DUMP HGT. 9'1" ; WT. 6150 LBS. 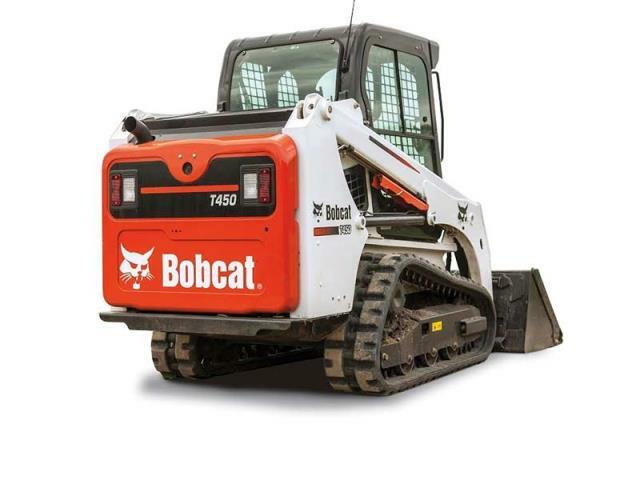 WIDTH W/ BUCKET 56" ; HEIGHT 6'7" W/ LIGHT ; LENGTH W/ BUCKET 10'6"
* Please call us for any questions on our bobcat t 450 track 61 hp rentals in Cincinnati Ohio.